Accomplish greatness with one of the greats! Purchase any pair from the Havaianas Teams Collection and sign up to the Havaianas Football Fest with Simon Greatwich for free. Score a perfect goal with Havaianas Teams! 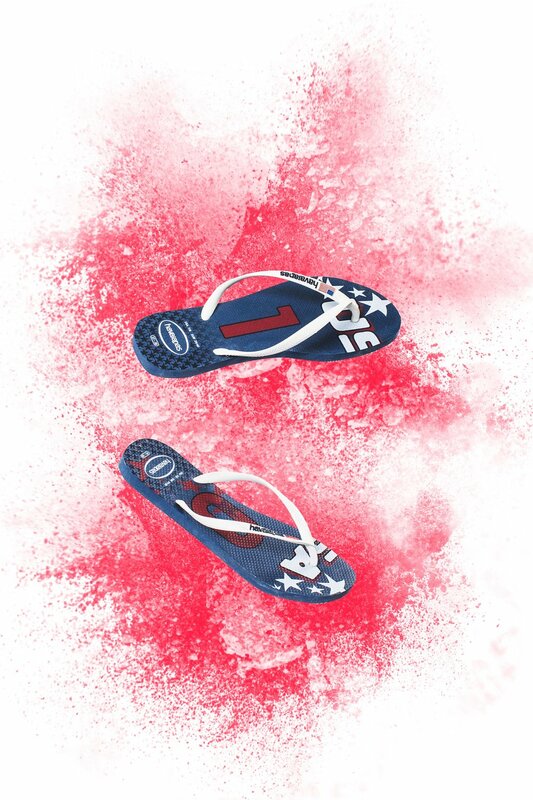 Just in time for the football season, Havaianas has just released a collection that has everyone cheering for their teams. Share the passion for the game and show the strongest team spirit with a pair. The Havaianas Teams collection includes 13 pairs in Top: Brazil, England, Germany (Deutschland), Korea Republic, Portugal, Spain (Espana), Netherlands (Nederland), Argentina, France, Japan (Nippon), Italy (Italia), USA, and China. It’s now available in Slim, too, featuring Brazil, England, Germany (Deutschland), France, Italy (Italia), and USA. Each pair is priced at P1,299 in Top and P1,399 in Slim. For more info, go to www.bit.ly/HavaianasFootballFest and follow Havaianas Philippines in Facebook, and @havaianasphils in Instagram and Twitter.